This is another great novel by Edward Phillips Oppenheim, the prolific English novelist who was in his lifetime a major and successful writer of genre fiction including thrillers and spy novels, and who wrote over a 100 of them. He composed some one hundred and fifty novels, mainly of the suspense and international intrigue nature, but including romances, comedies, and parables of everyday life. 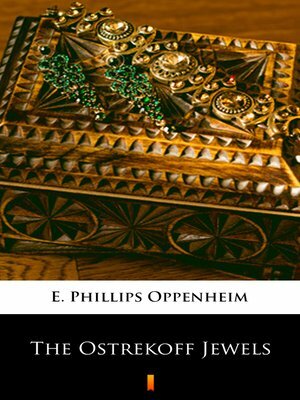 „The Ostrekoff Jewels „ is the story of a Russian prince, princess and the end of the Russian Revolution that is taking place around them and involves the smuggling out of a family's hereditary jewels. They attempt to flee, which appears to be successful, at least at first. Loosely based on the Romanov's reign in Russia.